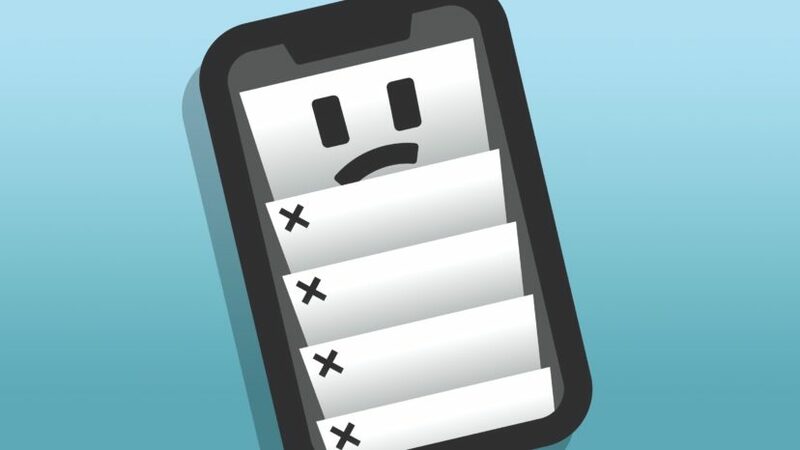 You are at:Home»iPhone»Tips»How To Close All Safari Tabs On iPhone: A Quick Shortcut! You have too many tabs open in Safari and you want to close them all at once. Did you know there’s a hidden way to close all your tabs fast once? In this article, I’ll show you how to close all Safari tabs on your iPhone at the same time! Press and hold the Tabs button in the bottom right-hand corner of the screen. Tap Close All X Tabs. All your tabs will be closed and you’ll be taken to an empty Safari browser. Ready For Another Safari Tip? Now that you know how to close all your Safari tabs at once, check out our other article to learn how to clear your Safari web browsing history! That way, if someone borrows your iPhone, they won’t be able to see what websites you’ve visited. Closing Safari Tabs Made Easy! 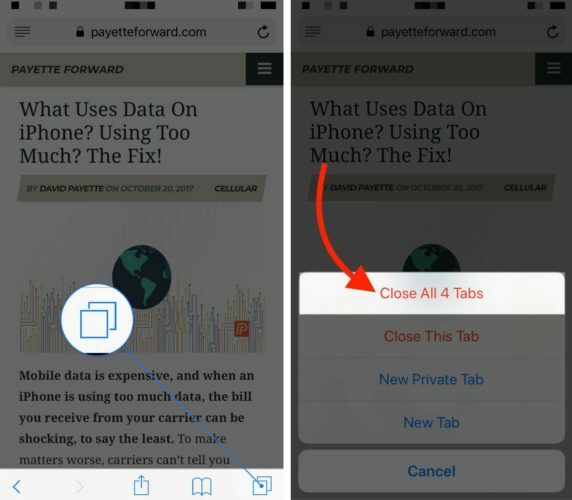 You now know how to close all Safari tabs on your iPhone with just two taps. I hope you’ll share this little trick on social media with your family and friends! Leave us a comment down below to let us know how many tabs you closed at once. Previous ArticleWhat Is “Other” In iPhone Storage? Here’s The Truth & How To Delete It! Next Article My iPad Won’t Turn On! Here’s The Real Fix.